New York!! On to some new stuff! moving on to something better (by way of Chris Breezy), lol. Today marks the day I'm no longer a New Yorker. 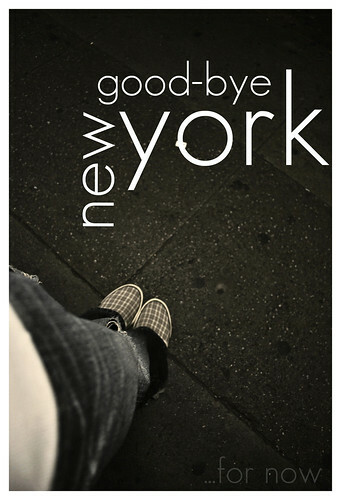 I'm leaving the big apple to the nation's capital, that's right I'm moving to Washington D.C.
Don't cry for me New York, I gotta do what I gotta do but I promise I'll be back to visit, and just so you know, you'll always be my favorite state. So I'll be super duper busy today and for the rest of this week as I'll have lots of packing and un-packing, driving, getting lost, finding my way, site seeing, meeting Mr. Obama - chyeea I wish! Nevertheless, I'm looking forward to it all. Best part of my move will be decorating my new apartment (eek!!) and of course meeting the fam (classmates). I call us family because we're basically stuck with each other for the next four years. Should be a great day, a great week, a great four years! !